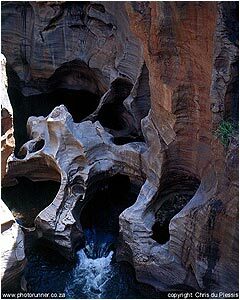 A visit to the Bourke's Luck Potholes from Thaba Tsweni Lodge is a must! At the confluence of the Blyde and Treur Rivers, rapids and whirlpools occur. Through millions of years, water-borne sand and rock moving through these whirlpools, have scoured smooth-sided potholes into the original riverbed. 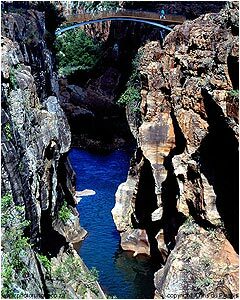 These potholes have become known as the Bourke’s Luck Potholes, where the combined force of the Blyde and Treur Rivers have cut a deep 26km long canyon known as the Blyde River Canyon.